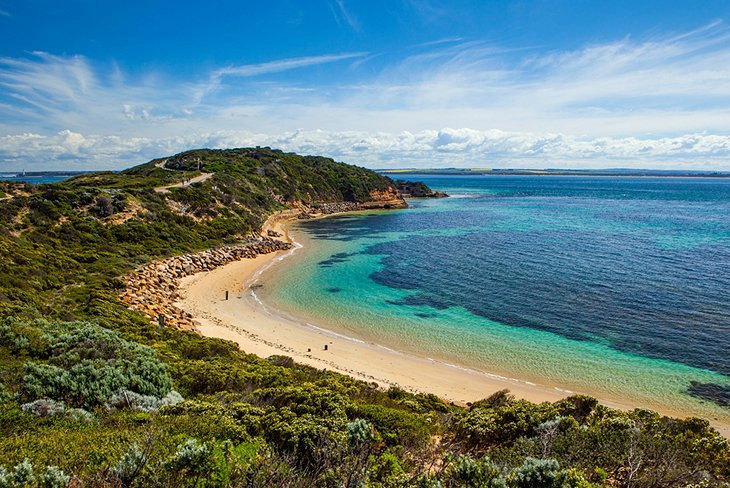 To getting out and about, to engulfing yourself in the natural beauty or hitting the fringing ocean waters off Apollo Bay, there are numerous tours that can do all of this and plenty more. Travellers of all ages are catered for with the many great tours that you can book onto all year round when holidaying in Apollo Bay and there are also tours specifically target at certain groups such as 20-25, over 50’s, backpackers, adventure seekers, foodies and people who love to get close to nature. All year round you can experience many of the natural wonders that make up this area along the Great Ocean Road with the Otway Ranges and Rainforest in the background the southern ocean in the foreground and everything in between holds something new and exciting to see and do each and every day. There are fishing charters for day and overnight, whale watching tours and snorkelling and diving charters upon sunken shipwrecks as well as ocean kayaking tours to witness one of the largest seal colonies in the country. You can join a surf lesson that will have you surfing in no time at all or perhaps a cruise up and down the rugged and stunning coastline to see the sights appeals to you more! You can book onto guided walk that will take you along the Great Ocean Walk, see the amazing coastline for yourself and its rock formations that have been formed over many years. There are bird watching tours and guided walks through the Otway Ranges, see the fireflies come out at night time or join in on a tree top walk through the rainforest which is informative and informational regarding the ancient parklands. From mountain biking tours, four wheel driving tours, luxury coach tours and exclusive and boutique guided tours, you really can choose from a great range of tours within Apollo Bay. Venture further afield to see the Twelve Apostles, Bells Beach, Lorne and the awesome volcanic rock formations, craters, blow holes and stunning coastline or make your way along one of the scenic routes by motorcycle or on horseback for something different. There are scenic flights and helicopter rides, food and wine tours to neighbouring wineries and cellar doors that stop off at vineyard restaurants to sample some culinary delights along the way and you will also have the chance to have a camping experience like any other. You can join in on a fun filled adventure onboard the tiger moth ride or get the blood racing with a go on a jet boat for the afternoon. No matter what your interests may be, from the water to dry land based activities, Apollo Bay offers so many exciting attractions to take in and you can see them all on a range of great tours. Whatever the time of year you plan to visit there will be an exciting adventure to set out on and many of the tours are also really well priced. There are often great deals and specials for you to take advantage of and why not include a preferred tour into an accommodation special package so it is all pre booked before you even begin your trip away. Half day, full day, overnight and extended tours can all be arranged directly out of Apollo Bay so you will have every opportunity to see and do it all while vacationing in Apollo Bay.